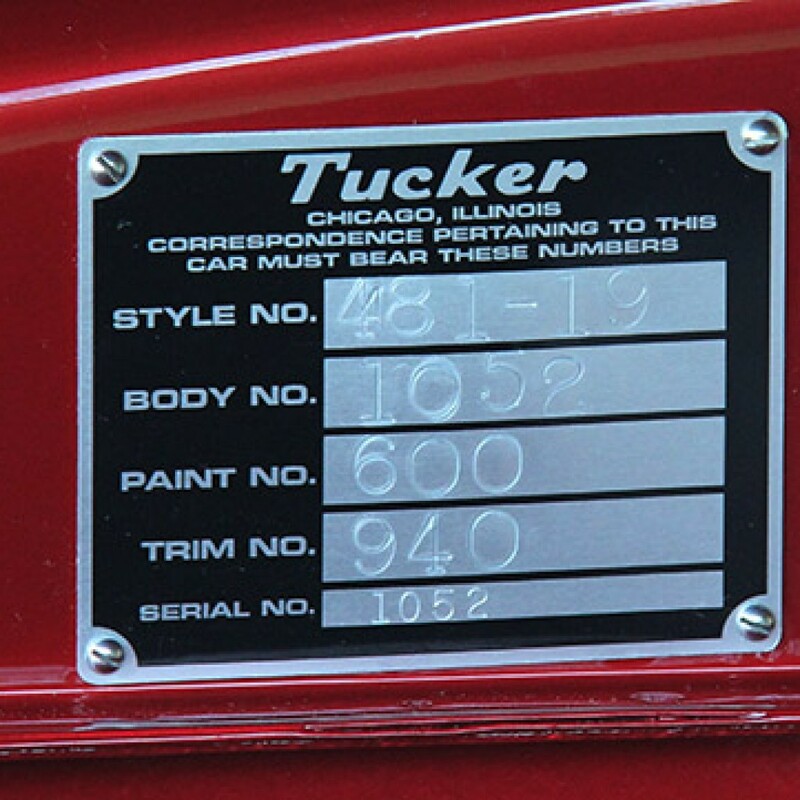 Notes: Tucker 1052C is new construction, so it is not technically considered one of the original 51 cars (Tin Goose + 50). This car was completed in July 2015 and was built from leftover parts and parts from scrapped cars. 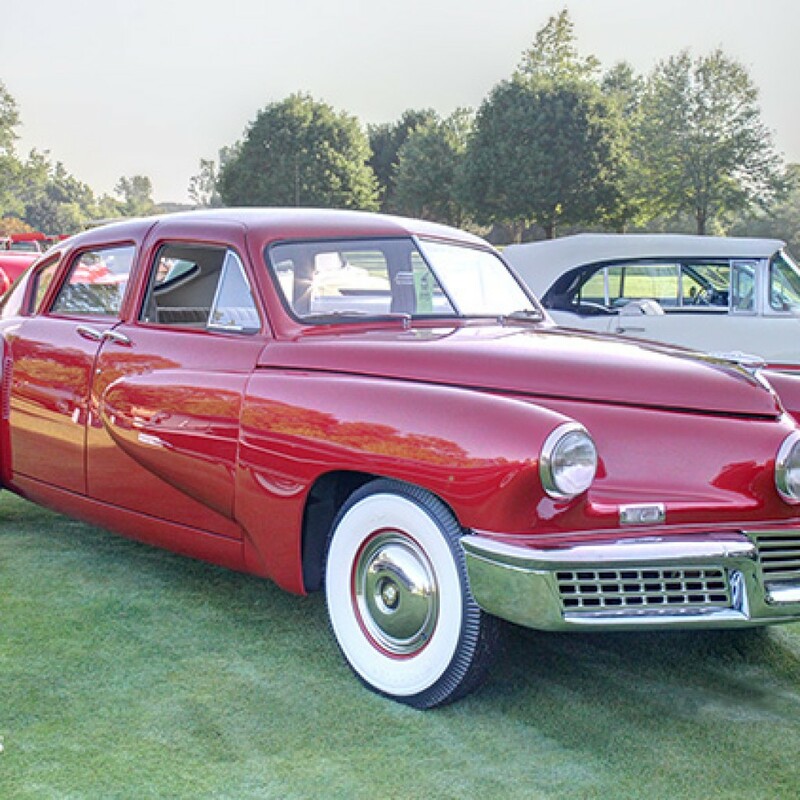 It was based on the remains of the Tuckermatic Test Chassis (not a complete body), so consequently it never had a factory serial number or body number. This car contains parts from #1018, #1027, #1030, small pieces from the remains of body #55 and a few NOS panels. Many of these parts have been kept together with the remains of the Tuckermatic chassis in various collections over the years. 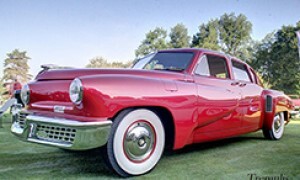 The Tuckermatic Chassis was very unique and designed specifically for testing Tucker’s automatic transmission, thus shares few similarities with the pilot-production cars. 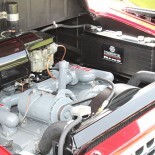 The frame had a unique cross-member designed to go up and over the Tuckermatic transmission, rather than the usual V-shape cross-member used to cradle the Cord and Y-1 transmissions. The Tuckermatic cross-member is basically the same shape as the radiator/engine mount cross-member, but flipped upside-down to clear the top of the trans. 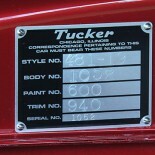 Tucker #1026, being the only surviving “Tuckermatic” car, has the same type of cross-member. This cross-member was removed during the construction of 1052C and replaced with a new cross-member to mount the regular Y-1 transmission currently fitted to the car. 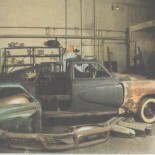 The cowl section used in building 1052C was also unique and designed specifically for the Tuckermatic Test Chassis. 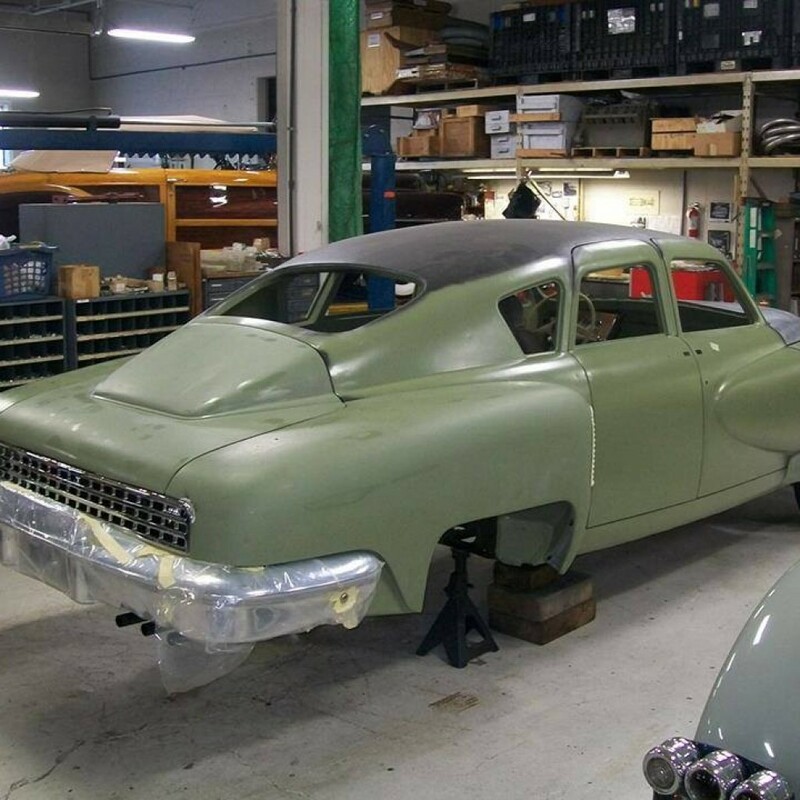 It was never part of a complete body and was constructed as a cowl and windshield frame only. It had a unique brace across the windshield header panel to compensate for the lack of a roof. The cowl flange was bolted together, instead of spot-welded, as all other Tucker cowls are. There were no factory numbers stamped into any part of the cowl. Original Tucker parts used in the construction of this car include: 1 Tucker engine and Y-1 transmission, 1 NOS hood, 1 NOS deck-lid, 2 NOS front doors, 1 NOS center pillar, 1 rusty center pillar (from the remains of body #55), 2 wrecked front doors (from roll-over car #1027), 1 each front and rear bumpers, 1 rear grille, dash panel and instrument cluster, 2 reject quarter panel/sail panel stampings, the original seats/upholstery from #1030, the front fenders and various small parts from #1018 and several boxes of small hardware, switches, knobs, etc. 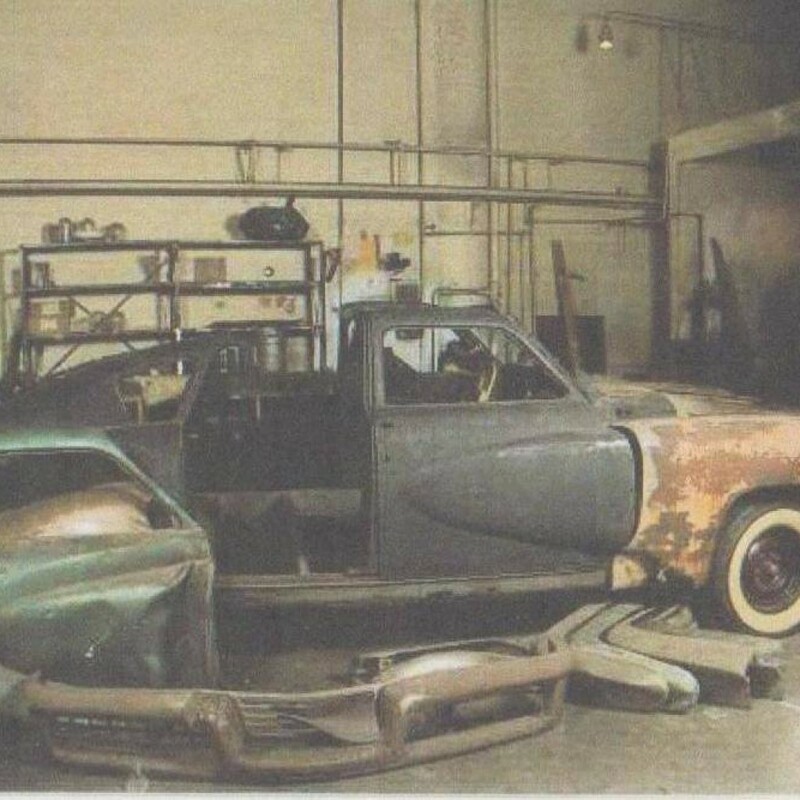 The front fenders from #1018, being parts from an early car, were modified extensively to fit on the Tuckermatic chassis, which has the late style front frame rails, late suspension, etc. 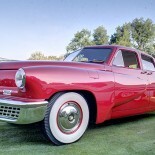 The rear fenders and engine bay panels are not Tucker stampings, but handmade metal pieces commissioned in the 1960s. 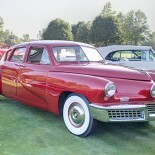 The rear quarter panels had unique doorjamb sections that had to be modified to allow the rear doors to open. The rear doors were fabricated using parts from #1027’s damaged front doors. The roof panel, rear window opening, floors and all inner body structure are all new construction. 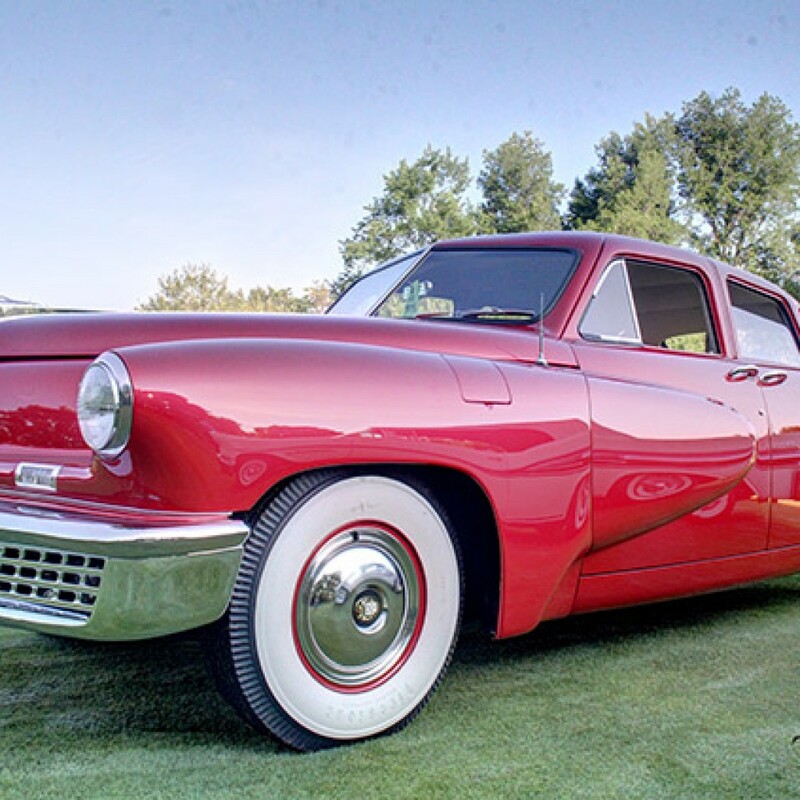 The freshly completed Tucker 1052C won Best in Class at the Concours d’Elegance of America at St. Johns Inn in July 2015.